“In a nutshell, our philosophy is you don’t have to be a big law firm to do big things,” says Adina Bergstrom of Sauro & Bergstrom. The firm specializes in representing clients in construction law and insurance claims cases. “You can be a small firm and make a really big impact,” Brenda Sauro adds. The two women worked together at a mid-size construction law firm before hanging out their Sauro & Bergstrom shingle in 2012. The partners went out on their own so they could focus exclusively on representing property owners, including homeowners, associations and businesses, in claims related to construction defects and property insurance claims for storm damage, fire, water and other issues. As one of the few plaintiffs’ firms in their practice realm, they take on big insurance and some of the area’s largest law firms to get the right results for their clients. Their practice style – act quickly and aggressively. The partners chose the suburb of Woodbury for their office location to shorten commute time and help themselves and their employees achieve better worklife balance. “There were professional and personal motivating factors about how we wanted to practice law,” Bergstrom says. “By opening our own firm we could set our own rules and really follow our convictions in terms of the types of cases and people we represented. The attorneys note that after coming from very traditional workplace environments, they sought to do things differently at their own firm, which is a DBE-certified business in Minnesota. They point to the high attrition rate of women in law, many of whom stop practicing altogether or take a break to raise their children and return to work later. 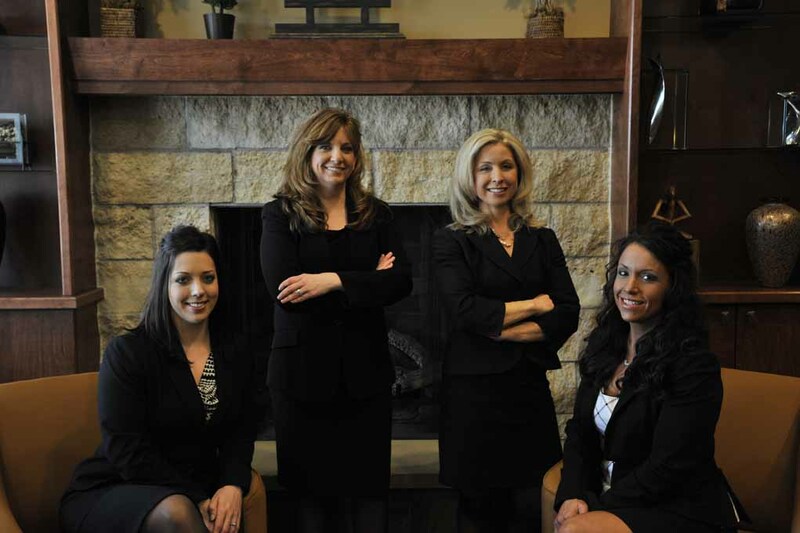 Sauro & Bergstrom’s core employees are all female and mothers too, Sauro says. In addition to the attorneys, there are two paralegals, Casandra Lasley and Sara Brennan, and several office staff members. The attorneys also recently extended an offer to their law clerk, Sophia Borth, who they describe as “phenomenal” to join the firm when she finishes school. In addition, the firm also added a legal assistant, Jill Fallin, to assist with the growing workload. Another cultural difference compared to more traditional firms is that there are no barriers between attorneys and staff. Both attorneys note that they have worked for firms that didn’t allow socializing between attorneys and staff. To help build a feeling of teamwork, the entire staff goes on retreats together to places like Las Vegas and Cabo San Lucas. The partners also arrange team-building activities each month for the entire staff as a way to celebrate the firm’s successes. “It is a thank you for working hard and having great client relations,” Bergstrom says. Recently, the firm celebrated the success of a case involving storm damage to property, which resulted in a large jury verdict for their client. Originally, the insurance company denied the claim, stating that the storm never passed over the property. Sauro & Bergstrom hired a meteorologist who came in and testified at trial that not only had one storm passed over the property, but in fact two storms did within a very short period of time. “There isn’t a large contingency of plaintiffs’ attorneys who are suing insurance companies, who are really on the side of the owners,” she says. “There are only a handful of us in town and we are one of the firms that routinely gets called on when legislative changes need to be made. We want to get the right laws in place to protect consumers. Even with the success they have achieved, Sauro and Bergstrom admit that starting their own firm was a bit scary. Having the support of their families made all the difference to them. The twins as well as Bergstrom’s 18-year-old son help at the practice with everything from photocopying and scanning to setting up and closing down client files. Both partners agree that working in a family environment is part of who they are. And it helps their sons to learn what it is like to work in a professional environment, including how to get to work on time and dress appropriately for the office. An added benefit is they’re computer savvy. Because of Bergstrom’s children’s involvement in the performing arts—in addition to her son, Bergstrom has a daughter—the firm became involved in sponsoring local theater. The partners also identify charitable organizations to support each year. In addition to helping out in the community, what do they most enjoy about having their own firm?